Synthpatcher are very proud to announce our very first iOS App T-shirt. Show your love for Frobulator the totally wicked experimental stereo-modulated filter and spectral delay app from WT! 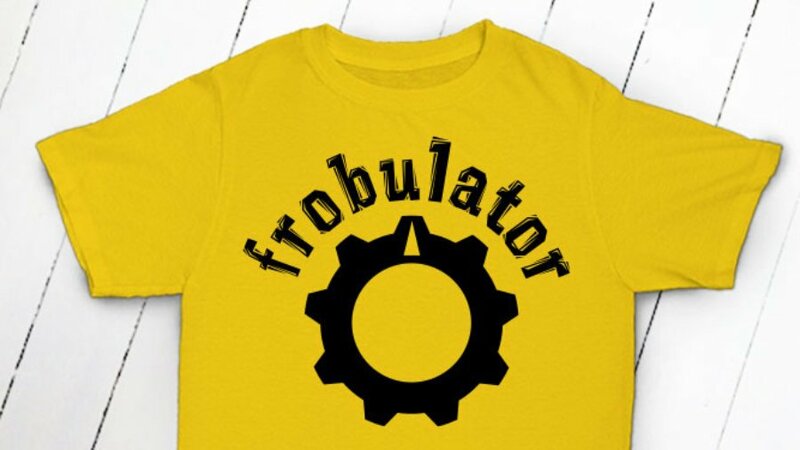 Available in Frobulator Yellow* only, this high quality, ethically sourced (and very comfortable) T-shirt with the striking Frobulator logo will certainly get folks talking! What's that you say, you don't know what Frobulator is? Head on over to the WT website walkytalky.net or simply Download Frobulator completely free from the app store! * as close as we could find anyway - the colour is a nice bright yellow gold colour and a bit brighter than is shown on this image!